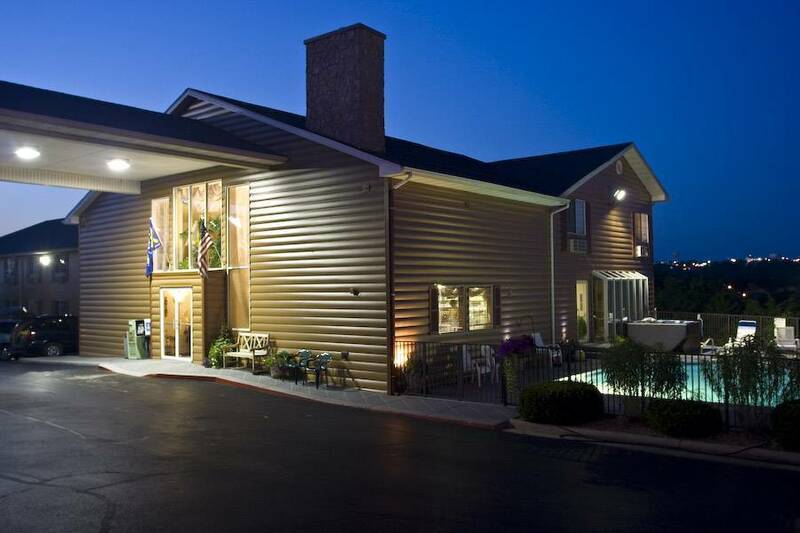 Scenic Hills Inn is right in the heart of Branson. A newly renovated hotel is 100% non-smoking and offers interior corridors, elevator, business center, handicap access as well as discount show tickets. The luxurious rooms are all set with a big 32” flat screen TV with cable, coffeemaker, fridge-micro, hair dryer, iron/ironing board, phone and data port, complementary access to WI-FI, bathtub/shower and separate sink from bathroom. Your choices are two queens or one king, some of those rooms feature a red hearth shape Jacuzzi, a couple have connecting doors between also one of the room has rolling in shower. The family runs hotel served complimentary breakfast with famous cinnamon rolls, french toast, waffles, bagels, hot and cold cereals, fruit, boiled eggs, juices, coffee, milk and many more. 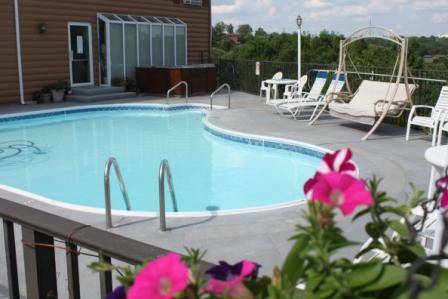 After busy day in Branson you can relax and unwind in our outside sun deck, hot tub and pool or in a hospitality room. 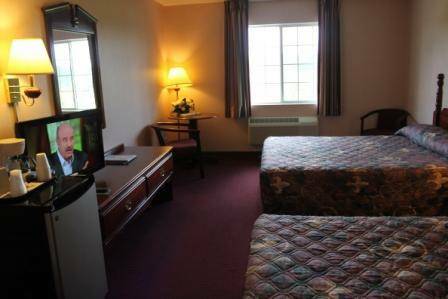 Scenic Hills Inn is conveniently located on Shepherd of the Hills Expressway between a Shoji Tabuchi Theater and a B T Bone Steak House. Since our excellent location our guests have an easy access to the many alternate routes and simple escape the noise and traffic of 76 Highway. 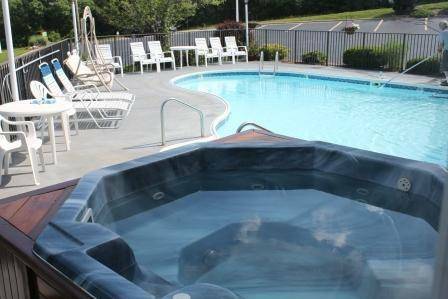 Overlooking Ozarks hill and valley, the AAA Two-Diamond Scenic Hills Inn is located approximately 7 miles from Branson Airport (BKG) and only 45 miles from Springfield International Airport (SGF). When you're ready for Branson excitement, you'll find short drive from us to world-class theater shows, shopping centers, restaurants, amusement parks and best of all fishing, boating, scuba diving and ballooning. The luxury rooms have 32”flat screen TV w/cable, coffee maker, fridge, WI-FI, hair dryer, iron and ironing board. Hotel offers a complementary deluxe breakfast w/cinnamon rolls, discount show tickets and all rooms are 100% non-smoking. Nestled into rolling hills the Scenic Hills Inn is tucked away from noise and traffic but still has easy access to all that Branson offers. The luxurious rooms are all set with a big 32” flat screen TV with cable, coffeemaker, fridge-micro, hair dryer, iron/ironing board, phone and data port, complementary access to WI-FI, bathtub/shower and separate sink from bathroom. 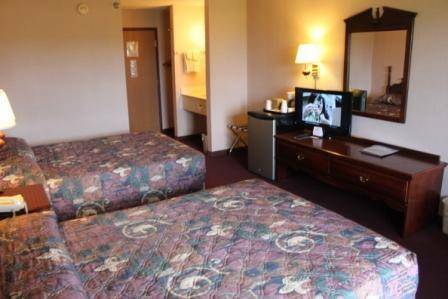 Scenic Hills Inn is conveniently located on Shepherd of the Hills Expressway between a Shoji Tabuchi Theater and a B T Bone Steak House. Just 3/4 mile from 76 Highway also known as strip. All hotel charges are done at check-in,a hotel has 48 hours notice of cancellation prior to the date of arrival. Failure to do so will result in a charge of 1 night stay. From Highway 65, take a second exit on the Shepherd of the Hills Expressway or 248 Hwy also known as the Red Route. Go west on 248 Hwy while staying in the right lane. Turn right on second stop light and keep the left site of the road because right after this light you need to turn left . Turn left at the stoplight where highway 248 and Shepherd of the Hills Expressway meet. Drive on the Shepherd of Hills Expy for about two miles and the Scenic Hills Inn is the fifth building past the light of Roark Valley Rd on your right side. 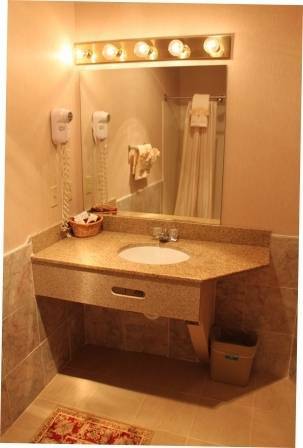 Nearest airport: Scenic Hills Inn is located approximately 7 miles from Branson Airport (BKG) and only 45 miles from Springfield International Airport (SGF).